Welcome to The Griffon Bruxellois Club�s official website. 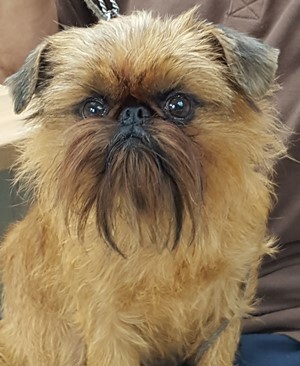 The site has been set up by the committee for its members and for anyone wishing to acquire information about the Griffon Bruxellois and the Club. As you will see in our history the Club was set up in 1897 and is the oldest active Griffon Club in the world. The Club still continues to promote a good future for the Griffon Bruxellois, as it did from its beginnings - �the Club will start with good prospects of making itself useful to those interested in the little red Belgium dogs�.